Check out the photos of TaylorMade’s new SLDR fairway wood, which was being tested by Dustin Johnson at the Tour Championship. 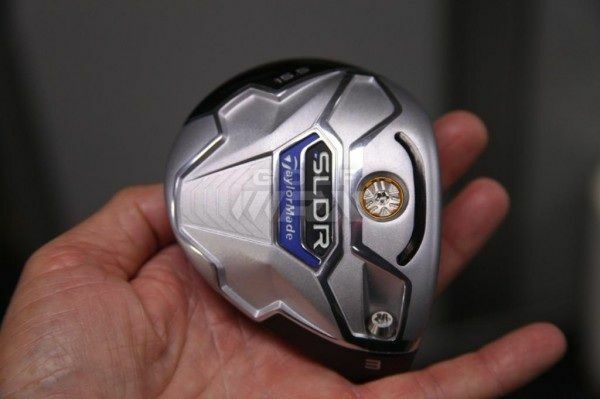 The SLDR fairway wood does not have the sliding weight track that was featured on the company’s new SLDR driver. Instead, it has what appears to be a new version of TaylorMade’s Speed Pocket, which like the slot on the company’s new SpeedBlade iron has curved design that looks to cut all the way through the club’s sole. It also has an adjustable hosel that seems to have the same adjustability as the SLDR driver, 1.5 degrees up or down from the standard loft. Johnson was the first player to test the club at East Lake, a 15.5-degree model, but according to TaylorMade tour reps it’s still up in the air if Johnson will put the club in play this week at East Lake.